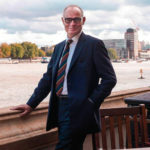 Crispin Blunt is the Conservative MP for Reigate. He is also Vice Chair of the All Party Parliamentary Humanist Group and Chair of the Foreign Affairs Select Committee. If the EU ( and that includes us as well) have made a big mistake, it is surely that it has failed to move slowly enough in understanding its partners underlying complex cultures and engaging with their peoples in an ongoing dialogue. Such is the complexity and diversity of our cultures that we are attempting to achieve in 40 years what might just be possible in 140 years. However, this is no argument to withdraw. We should remain and endeavour to bring the other members to their senses. Many of them feel as we do. They will be weakened by our departure and in the end everyone including us will be the worse for it. You mention Turkey; in no way should Turkey in its current state be admitted to the EU and, if we remain, we can delay that with our veto until it does comply with those conditions that are compatible with ours. I would not see that happening in my lifetime but would I like to see it happen eventually – yes of course. You note that our Central European partners would object on religious grounds. I would argue that we should not have allowed them in unless such grounds ceased to exist but they are there and by remaining we can at least help to bring understanding over the years. You have identified a very real problem but on the one hand you have accepted the Brexit lie that Turkey is going to join in the immediate future and secondly you are washing your hands of the problem over which you would have absolutely no say in the future. By the way, instead of throwing the baby out with the bath water, why not try to help control immigration by introducing identity cards and a population register first? All other members have them; our immigrants are allowed to vanish into the woodwork. Global is a phase somewhta into the future although we should ackowledg its coming. What we need to do is shake off the malevolent influence of the United States on our own cukture. We have much more in common with Europe e.g monarchy and lack of dependance on guns for normal living. Staying in teh EU and LEADING Europe will show the USA that they are not the GREATEST that they think they are. He simultaneously claim that Britain is a thriving multicultural society but must reject a multicultural Europe. This is a contradiction. The most effective way to weaken religious belief is to mix people of different religions together, not to silo them into individual religiously focused countries. He also fails to point out that for a country to join the EU it must comply with a significant minimum standard including a being a secular state.